Use the form below to inquire about Backwater Resort at Muhamma . Use the form below to reserve for Backwater Resort at Muhamma . These are on the ground floor of the cottages and have sit outs offering views of the lake. 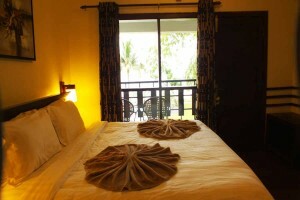 Bedrooms have en-suite bathrooms and double beds. 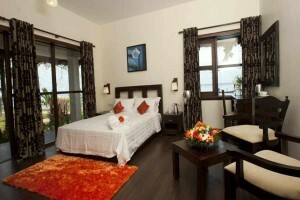 These are on the first floor of the cottages and have attached balconies offering spectacular views of the lake. 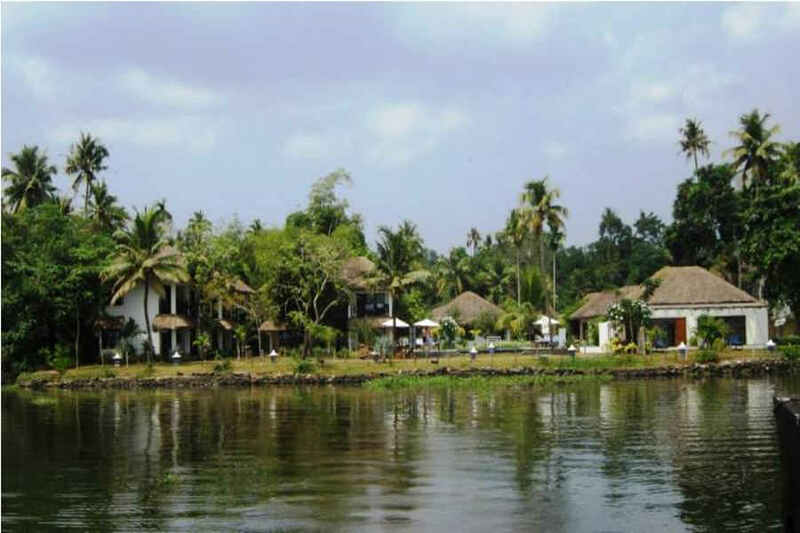 Gaze upon the famed backwaters of Kerala as you luxuriate in the comfort of this sprawling Backwater Resort at Muhamma. 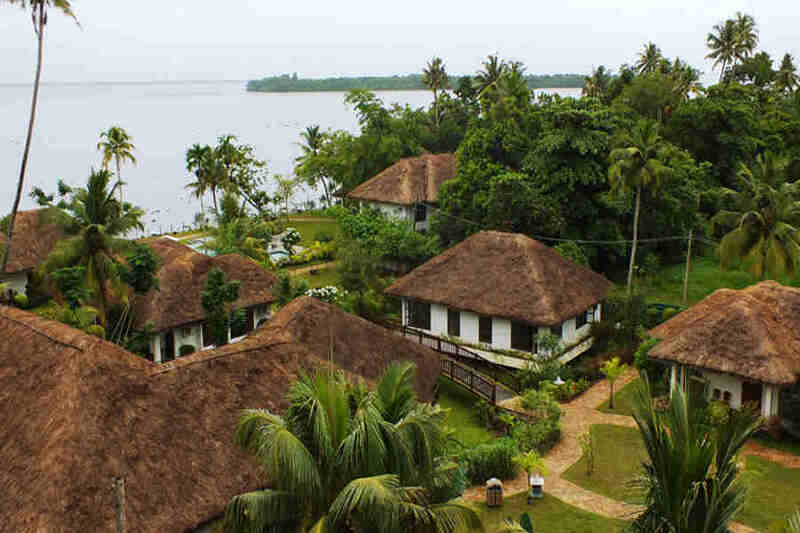 Sitting pretty on the banks of the Vembanad Lake, this Backwater Resort at Muhamma nestles on 1.5 acres of verdant landscape. 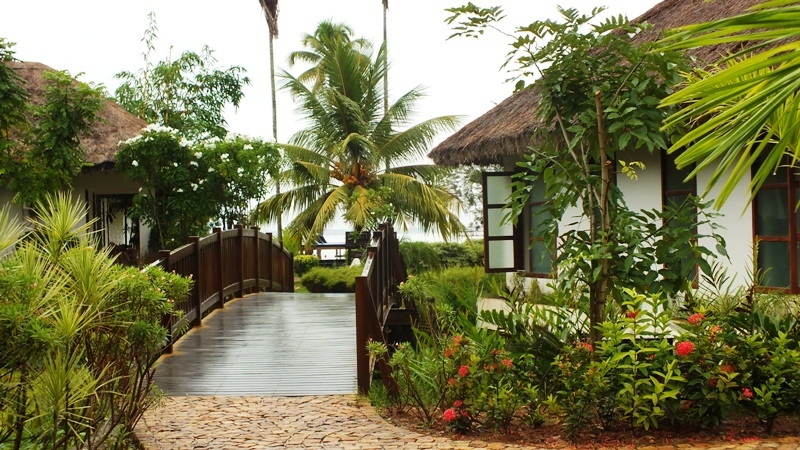 Situated at a distance of around 13 km from Alleppey, this resort offers stunning views of the lake from various vantage points. Muhamma Boat jetty where many houseboat cruises and ferries originate is close by. The well-laid out gardens with paved walkways and a pathway bridge make it easy to explore the property at your own pace. 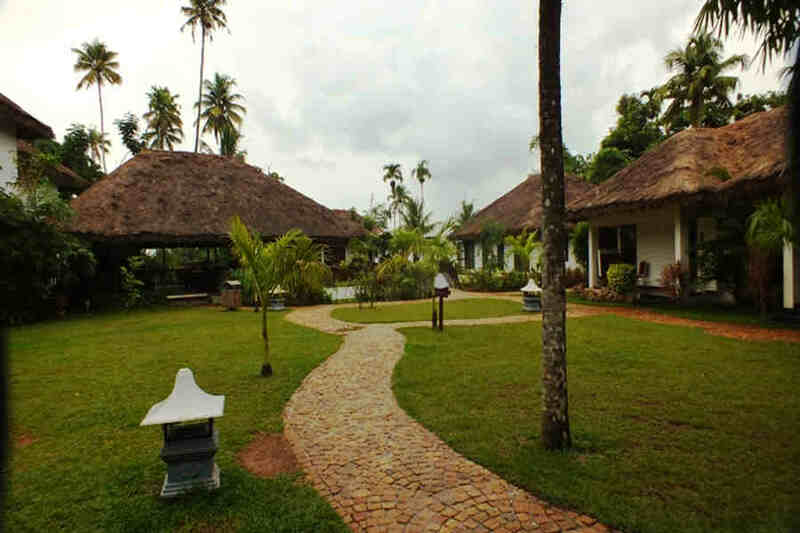 The buildings of this Backwater Resort at Muhamma have been designed to resemble quaint cottages with whitewashed walls, wood finishes, and thatched roofs welcoming you to a peaceful experience. 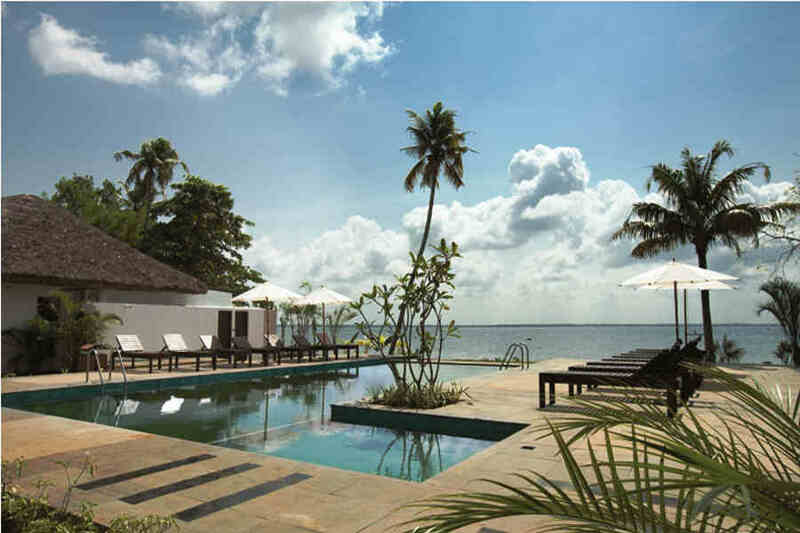 An L-shaped outdoor swimming pool overlooking the backwaters invites you to take a refreshing dip after a day of sightseeing. The splendid pool deck with lounge chairs and sun umbrellas is a great place to catch a nap or simply chill out with a book. Children will be thrilled with the kid’s play area on the property which gives them a chance to let their hair down. You can also go in for traditional massages and Ayurvedic treatments at the spa located on the property. 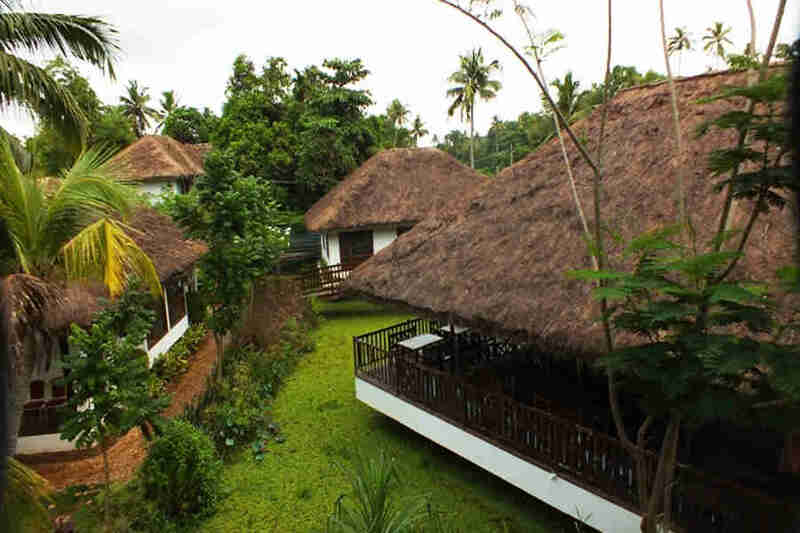 There is a restaurant on the property for you to enjoy authentic Kerala cuisine as well as other cuisines. 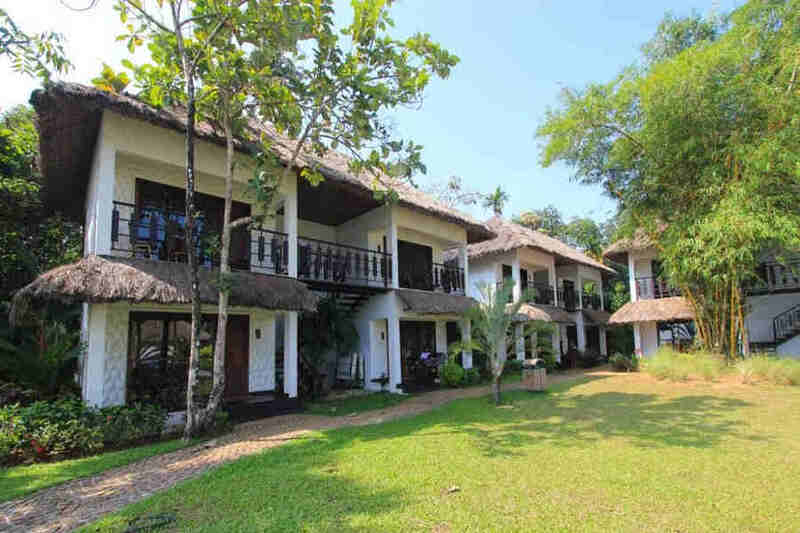 Most of the rooms at this Backwater Resort at Muhamma offer lake views. 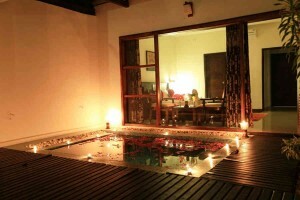 While all rooms are spacious and elegantly furnished, some even come with their own private pools. Quite a few rooms come with sit-outs for you to enjoy some moments of solitude as you enjoy a cup of tea or look out at the starry sky after dinner. 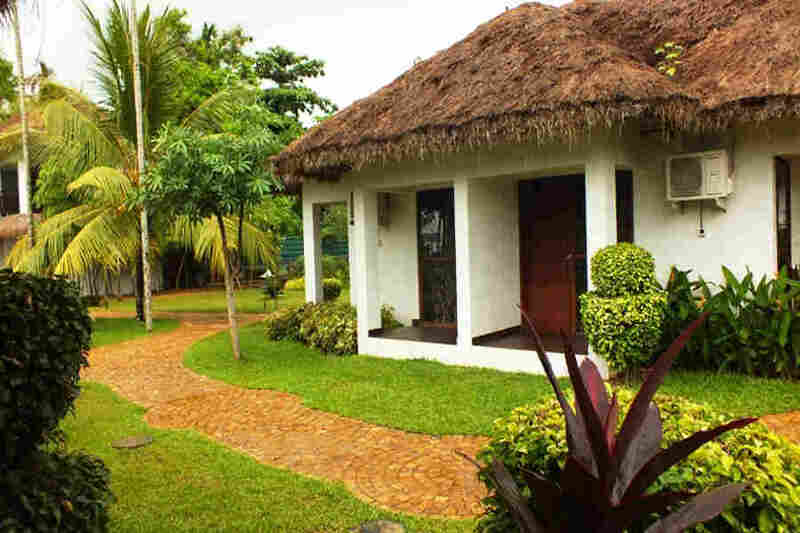 You are sure to enjoy your stay at this home away from home as you explore some of the renowned attractions in God’s Own Country. Children from 6-12 years of age. In the unlikely event of our inability to accommodate a guaranteed reservation, we will arrange an alternative accommodation with transportation. 50% refund if the booking gets canceled before 7 days. for No Shows and for the confirmed booking being canceled before 24 hours. Stroll along the Vembanad backwaters and head for Muhamma Boat Jetty where boats and birds paint a picture of tranquillity. Muhamma is also home to the famous Cheerappanchira Kalari, a traditional martial arts training centre, where Lord Ayyappa of Sabarimala is said to have trained. From the jetty, hop on a boat headed for Kumarakom Bird Sanctuary or Pathiramanal Island, if bird watching is something you enjoy. 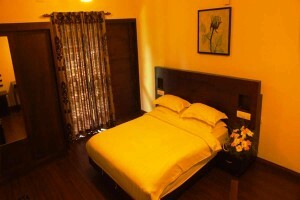 You can also book a houseboat for a leisurely day cruise on the famous Alleppey backwaters or enjoy fishing. The luxurious houseboats feature wood and cane interiors as well as delicious food and great hospitality for a memorable experience. The famous Marari Beach is close by and a good spot to bid adieu to the sun. If it’s history you are interested in, don’t miss the ancient 16th century St. Andrew’s Forane Basilica, Arthunkal. The ancient Mahadeva temple is nearby and known for its uniqueness as the deities Sree Mahadeva and Parvathi Devi sit facing each other. 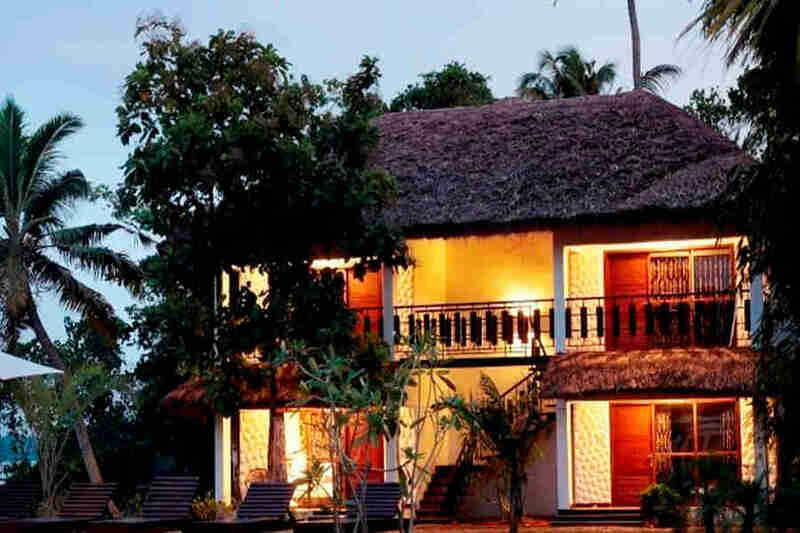 Alleppey town is a fun place to explore with its beach and palaces. Do not miss the famous annual snake boat races of Alleppey if you are here in August. Cochin International Airport is the nearest at 76 km while Trivandrum International Airport is 163 km away. Kempegowda International Airport, Bangalore, is around 615 km away. Maararikulam is the nearest railway station at 6 km while Cherthala railway station is 12 km away and Alleppey is 15 km away. Ernakulam (Kochi) railway station is at a distance of 48 km and Bangalore railway station is 600 km away. Alleppey is 13 km away and Kochi around 4`1 km away, connected by NH66. State capital Thiruvananthapuram is 170 km away while Bangalore is 580 km away.